Abstract: Multiple system atrophy is a progressive neurodegenerative disorder that is characterized by autonomic failure, cerebellar ataxia and parkinsonism syndrome in various combinations. In spite of the presence of well-established clinical criteria for multiple system atrophy, ante-mortem diagnosis is difficult. In our case report, we present a 78-year-old female patient who presented with early progressive aphasia and severe autonomic dysfunction. Two years after appearance of the first symptoms, she fulfilled all the major criteria for probable multiple system atrophy with rapid progression. 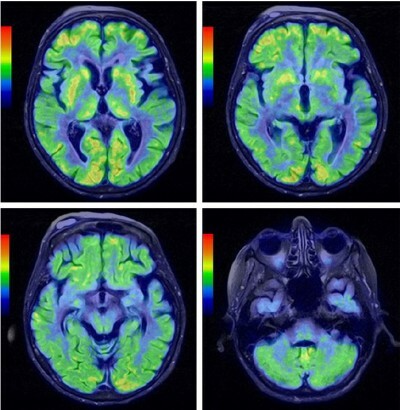 In addition, brain magnetic resonance imaging and fluorodeoxyglucose-positron emission tomography findings were more typical for progressive supranuclear palsy. Clinically differentiating multiple system atrophy from progressive supranuclear palsy and other similar neurodegenerative disorders may be challenging in all stages of the disease, especially with atypical disease presentation.